I have finally finished my knitted scarf by designer Stephen West and am quite pleased with the asymmetrical colorful look. 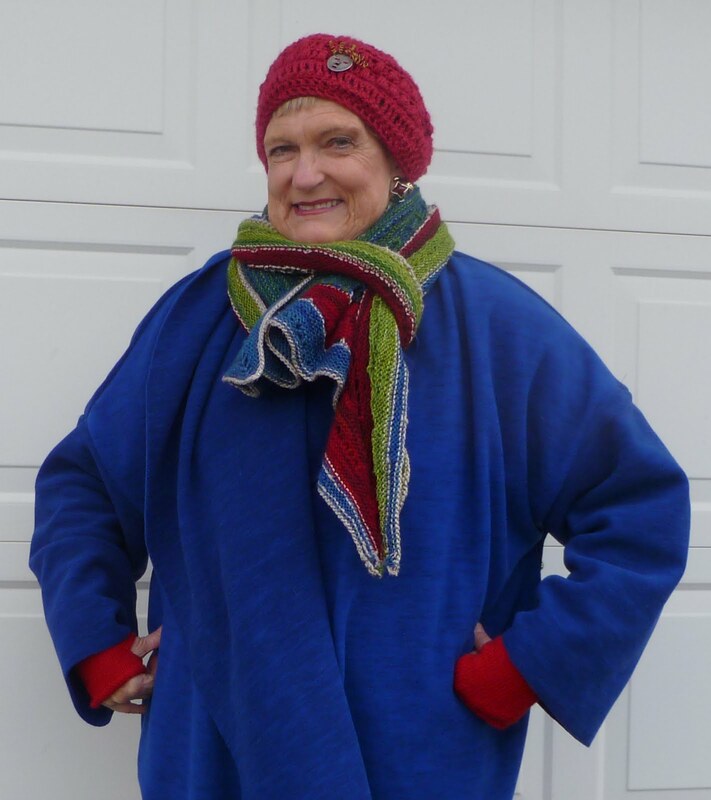 I made Vogue coat pattern 8930 to go under it. This pattern worked great and is cut so the collar can be worn two different ways. It does not have any fastenings and I found that it actually stays overlapped in the front quite well without. The scarf can be worn several different ways, some wound so it doesn't look so big and can be worn over the tunics too. I am still hoping to finish my self-challenge to finish 31 knitted or crochet items that fit in an outfit by next May. I added 5 to my previous count bringing it to 19---only 12 more to go in the New Year! 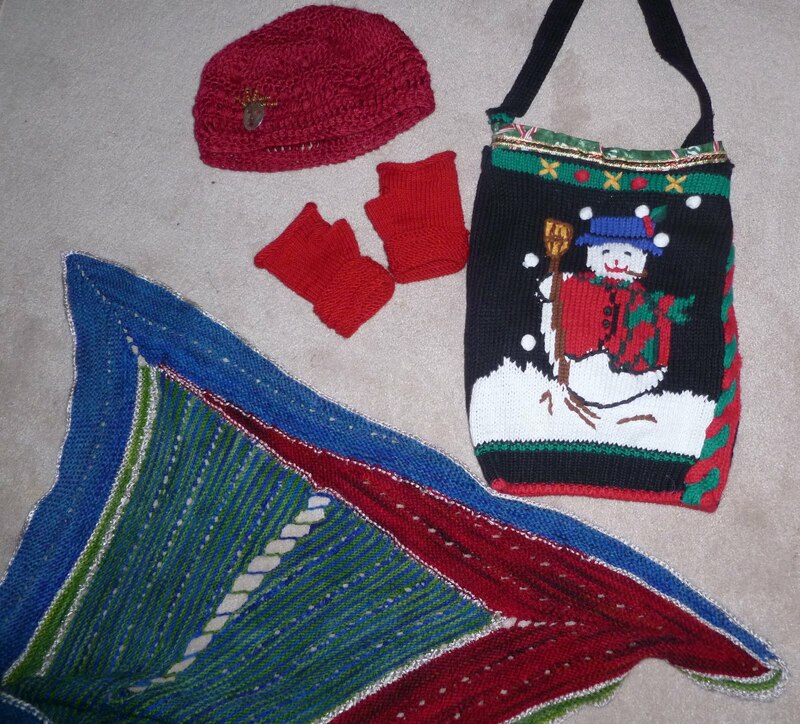 So here we have, in addition to the scarf, a crocheted hat, knitted fingerless mittens, and 2 pair of hand knit socks. 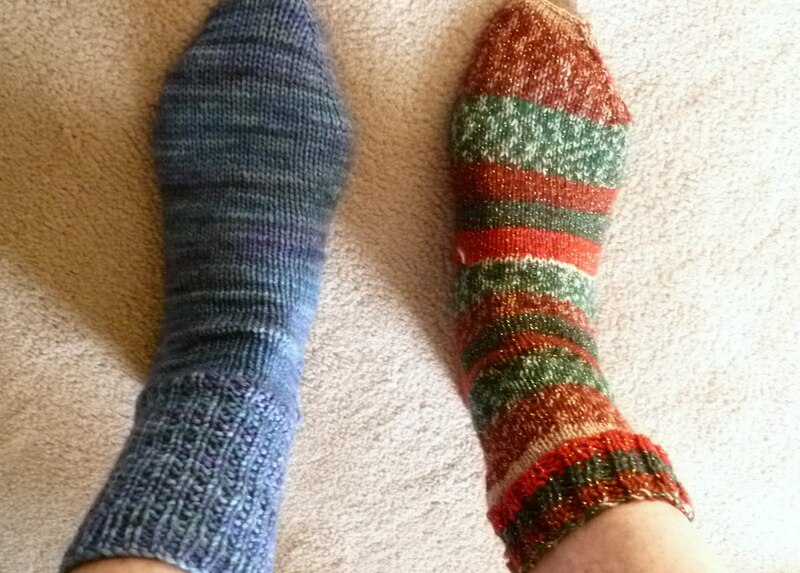 The red and green socks are knitted using just one yarn---it is made to change colors so the knitter doesn't have to! 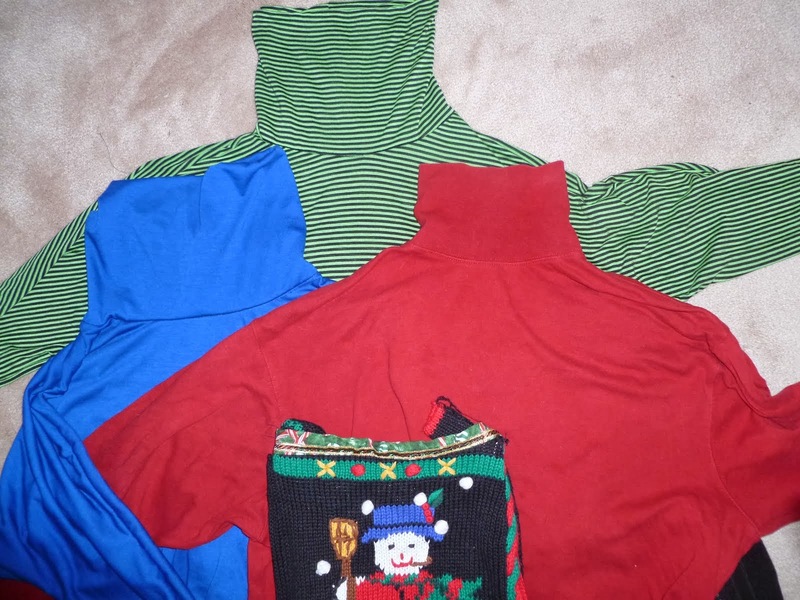 The snowman purse was reconstructed from a thrifted sweater so doesn't count for my challenge. I will be changing planes tomorrow mid-morning in Chicago so shout out if you see me! I love the colors and the pattern selection. Fantastic! you will be styling on your trip! You are READY! Have a blast and enjoy your new things! The scarf is fabulous! I really love the colors! Have a great trip. You look great! I love the scarf and the hat, and what a gorgeous blue color on that coat! You have been very prolific while you've been quiet:) Have fun on your trip. You look marvelous! A zesty gal and a delight to see. Have a great trip! Wish I could see these lovely hand crafted items. So lovely. Safe travels. 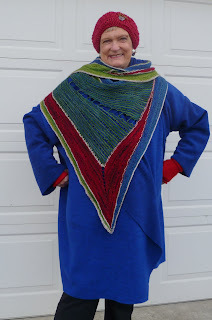 Love the coat, love the scarf and am in awe of anyone who can knit socks! Thanks all! I am at my destination and it traveled well. Security made me take off the scarf....guess it looked big enough to hide a weapon! This is a fabulous scarf, and your travel wardrobe is inspiring! Love it all - especially the socks! Have you tried making a pair out of your sock leftovers? They don't have to match, and you can knit as many socks as you like - mixing and matching! I knit mine with pink toes and my husbands with blue toes! Bravo for the 8930 vogue coat! I try desperately to achieve but the editing stage of the neck and back is very difficult to me ... could you tell me how you did it? The back neck is longer than that of the neck ... Ouch! Have you encountered this problem? Emma, thanks for you comment! If you read this please send your email address to me and I will try to explain with pictures how to sew that back neck seam on Vogue 8930.